Circuit of The Americas and Bell Helmets have partnered to create a limited quantity of commemorative Texas-themed Star Carbon helmets. For the first time ever, motorsports fans will have the opportunity to own a special edition helmet complete with custom artwork honoring the Lone Star State from Chris Wood, founder and creative director of Airtrix. 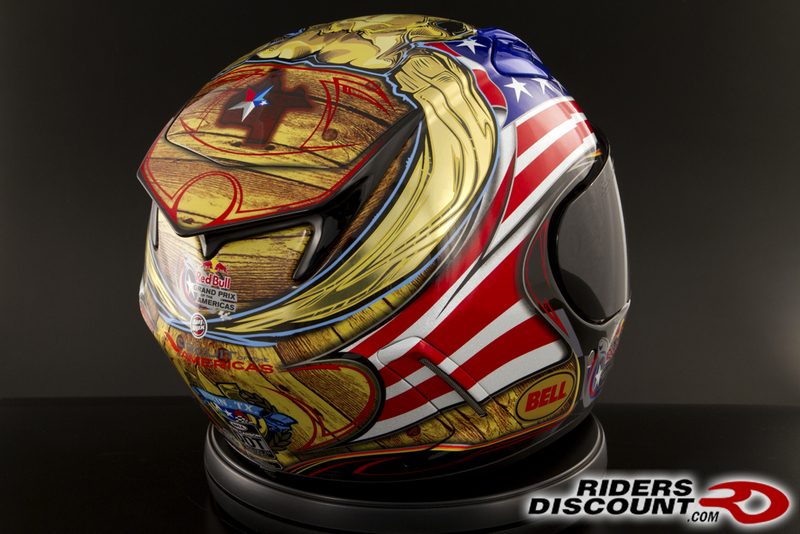 The helmet features a red, white and blue flag motif on the front with both the American and State of Texas flags, which wraps around the rear to merge with a hardwood design reminiscent of the floorboards in a Western saloon. The helmet is crowned with a Longhorn cattle skull, giving it a colorful and imposing appearance. 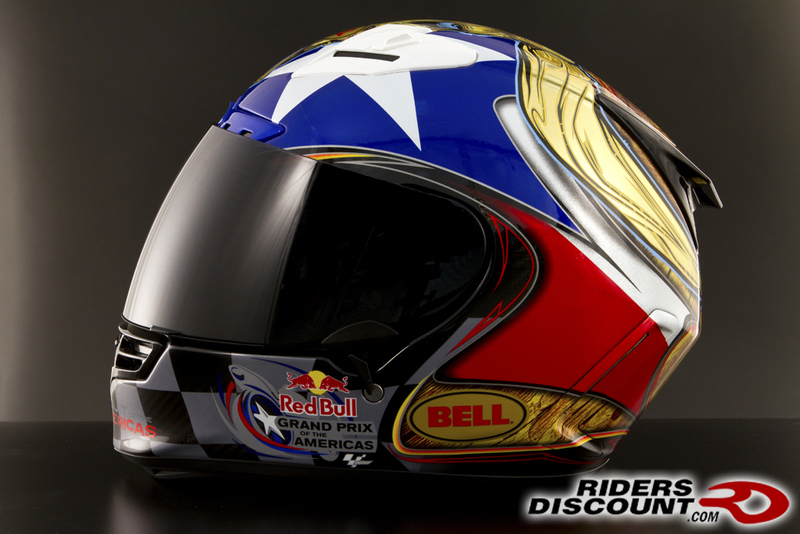 The specially designed helmet also features a horseshoe, the COTA logo and the event logo representing the 2014 Red Bull MotoGP of The Americas. 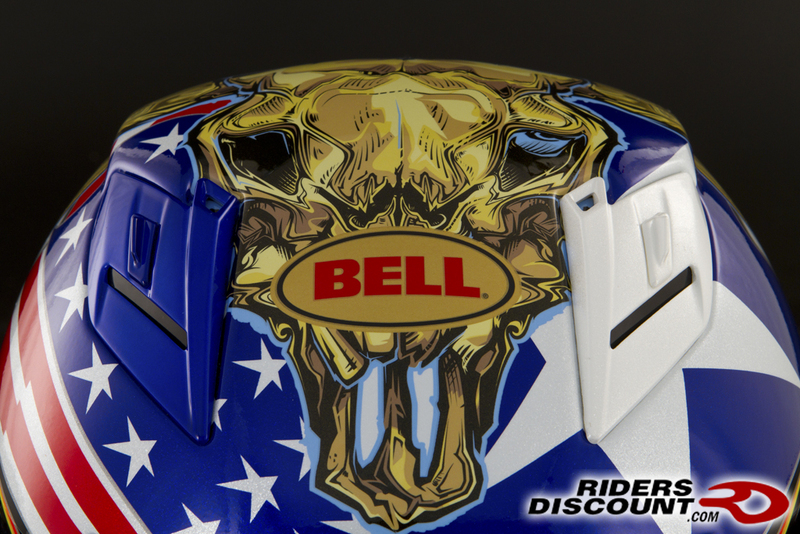 For more information, or if you'd like to place an order for this limited edition Bell Star Carbon Circuit of the Americas helmet by giving MIKE a call at 866.931.6644 ext. 804, or by contacting him through this forum. Is email more convenient? Feel free to send those to FORUM at RIDERSDISCOUNT dot COM and we’ll get back to you right away! Call MIKE at 866-931-6644 ext 804. Our business hours are Monday-Friday 9:30AM-6PM EST. 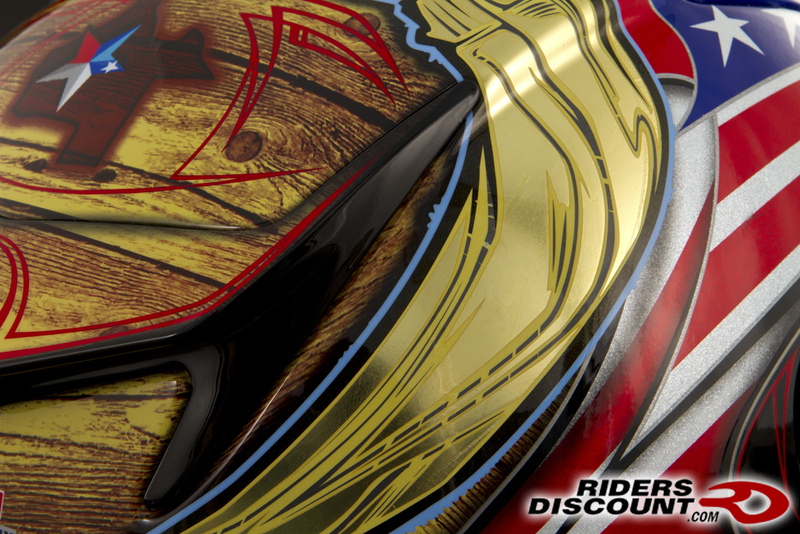 Visit our website at Riders Discount. That is a very American helmet. Good for the Yankees, but I'll be waiting for the Canadian equivalent. We have only 5 helmets left in total, last chance on this one of a kind helmet. Give MIKE a call today! Down to our last 2 helmets, XL and XXL. Last chance on this special helmet. Give MIKE a call today!